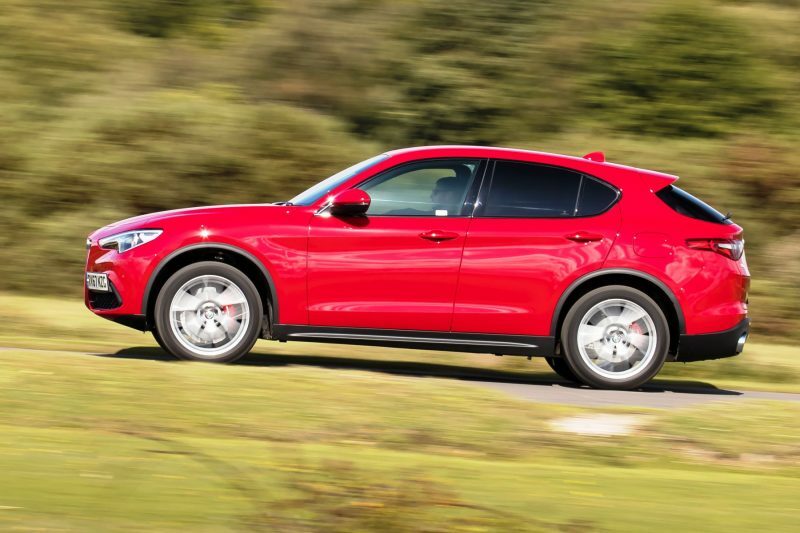 If you’re still trying to get your head round the concept of an Alfa Romeo SUV, then rest easy. We’ve driven the Stelvio and not only is it very good, it’s also surprisingly faithful to the brand’s sporting heritage. 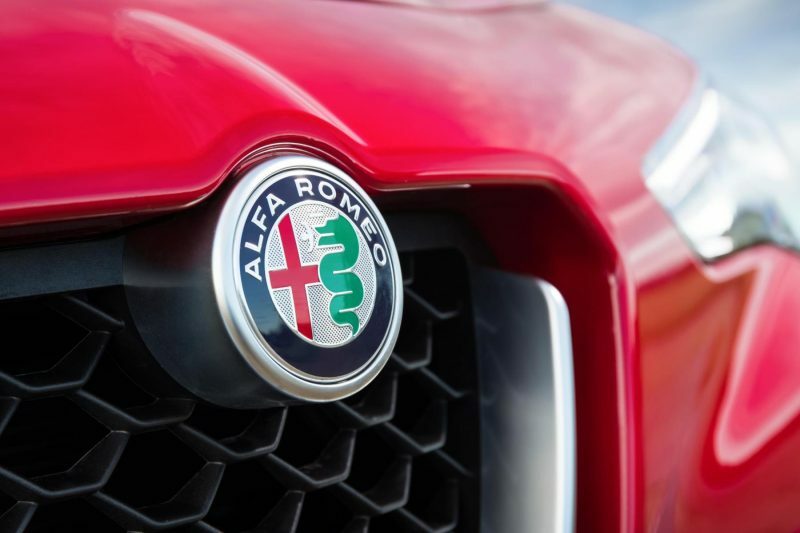 Alfa Romeo is on a roll . The acclaimed Giulia is one of the best sporting saloons on the market and now we have the Italian’s marque’s first sports utility vehicle. Priced from £33,990, it’s up against tough opposition including the Jaguar F-Pace, Audi Q5, Porsche Macan and BMW X3. With a maximum five stars in Euro NCAP crash tests, it’s also very safe. Standard safety systems include Alfa Romeo’s segment-first Integrated Brake System (which significantly reduces braking distance on any road surface), Autonomous Emergency Brake with pedestrian detection, Blind Spot Monitoring, Forward Collision Warning and Lane Departure Warning. In January 2018 it won the ‘Premium SUV’ title in Company Car Today CCT100 Awards 2018. The Stelvio divides opinion. Some say it looks like a Giulia on stilts, others a mini Maserati Levante. The reality is that it’s a handsome beast in the metal. Bigger than you might think from pictures, it’s unmistakably an Alfa Romeo from the front with its ‘scudetto’ front grille. Its profile lines are well sculpted and it’s nicely finished with a pert rear and short overhang. 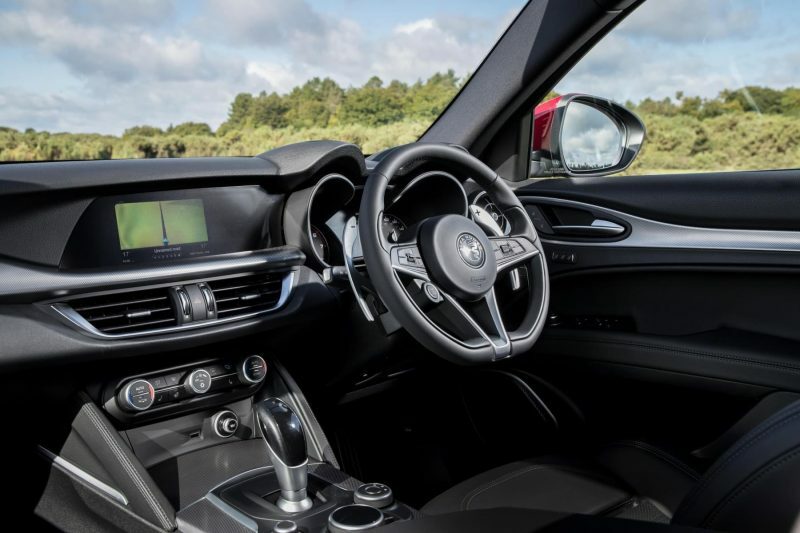 Inside, it’s not unlike the Giulia, which is no bad thing except for the infotainment screen which is not a touchscreen and only accessible via a rotary controller next to the gear selector. This means that to select a postcode on the sat nav requires spinning round a daisywheel and clicking each letter and number individually. Sitting behind pretty smoked glass, it’s not the brightest either, while the graphics don’t seem highly defined. Putting the 8.8-inch infotainment screen to one side, the Stelvio’s interior is spacious and well designed with a quality feel. With a commanding yet sporty driving position, the two hooded main instruments directly ahead of the driver echo sporting Alfa Romeos of the past. 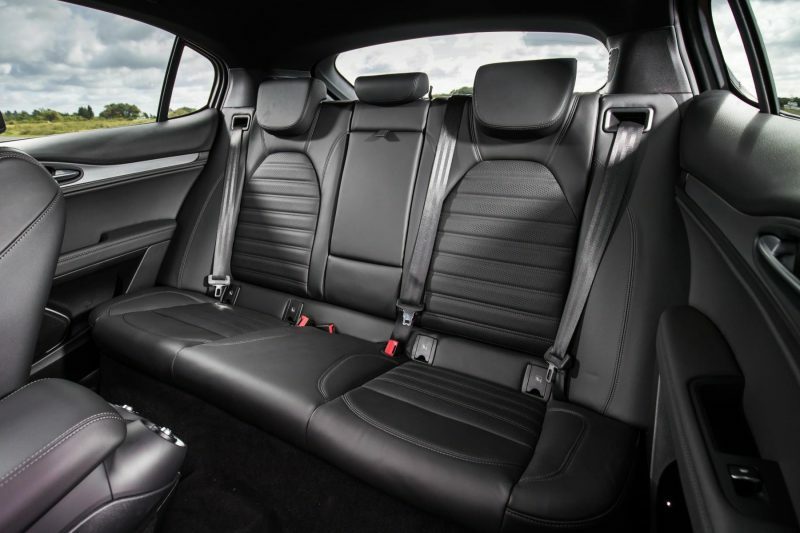 Luggage capacity is a generous 525 litres, or 1,600 litres with the rear seats down. There’s a choice of two petrol and diesel engines, both available with two power outputs. The diesels are a 2.2-litre (207bhp) Q4 AWD and a 2.2-litre (177bhp) RWD & Q4 AWD and the petrol units are a 2.0-litre (276bhp) Q4 AWD and 2.0-litre (197bhp) Q4 AWD. Controversially for some, there’s no manual Stelvio and an ZF eight-speed automatic transmission is standard, while four-wheel drive (known as Q4) is available with all engine options. The diesels are both capable of 59mpg and 0-62mph times of between 6.6-7.6 seconds, topping out at 130mph, with fuel emissions of 124-127g/km of CO2. The 276bhp 2.0-litre petrol Q4 AWD engine offers best in class acceleration, going from 0-62mph in just 5.7 seconds and on to a top speed of 143mph, while returning 40.4mpg with CO2 emissions of 161g/km. There are four specification levels – Stelvio, Super, Speciale and Milano Edizione. As standard, entry-level ‘Stelvio’ offers 17-inch 10-spoke alloy wheels, LED rear lights, double lateral chrome exhaust pipe, dual-zone climate control, a 3.5-inch TFT colour cluster instrument panel, 8.8-inch infotainment screen with full connectivity and an eight-speaker audio system. ‘Super’ adds 18-inch 5-spoke alloy wheels, front parking sensors, a 3D navigation system, two-tone leather dashboard and leather and cloth upholstery. ‘Speciale’ wheels change again to 19-inch 10-spoke alloys with red brake calipers, there are Bi-Xenon 35W headlights, power folding door mirrors and heated front leather seats with six-way adjustment. Finally, ‘Milano Edizione’ includes sporty leather seats, a 10-speaker “Sound Theatre”, 20-inch V-Spoke alloy wheels, keyless entry, privacy glass, electrically adjustable and heated front seats and a rear-view camera. I tested the all-wheel drive ‘Milano Edizione’ Stelvio powered by the 276bhp petrol 2.0-litre which is priced from £45,390 – the range-topping Stelvio – unless you can stretch to the ballistic 503bhp Quadrifoglio. Named after the Italian mountain pass famed for driving thrills, you’d expect the Stelvio to handle way better than your average SUV – and it doesn’t disappoint. The first thing you notice is the steering which is so incredibly precise and direct, that it takes some getting used to. Once you’ve got the hang of it you can start to enjoy the handling which is surprisingly agile – unlike most SUVs. Body roll is minimal, inspiring confidence, meaning you really can stretch the Stelvio’s legs on more challenging roads. That said, it will happily cruise on motorways and it’s very stable. The suspension is on the firm side, but the ride still remains mostly smooth and comfortable. The slick eight-speed automatic gearbox works happily in tandem with the powerful petrol engine – even better when the paddle shifts behind the wheel are used. And thanks to AWD, there’s also plenty of traction on tap. However, the paddles are huge and mounted on the steering column rather than the wheel itself, so they don’t move as you turn, which is not ideal. The Stelvio features Alfa Romeo’s DNA drive mode selector, allowing you to switch between Dynamic (Sporty), Natural (Normal) and Advanced Efficiency (Economic). Needless, to say ‘D’ is the most fun, but the other two settings are fine for longer, less interesting journeys where comfort and economy are the priorities. It’s not perfect though. Engine refinement isn’t class leading, while real-world fuel economy (the petrol version I drove especially) is average… though this isn’t helped by the fact that the Stelvio is such a rewarding car to drive! 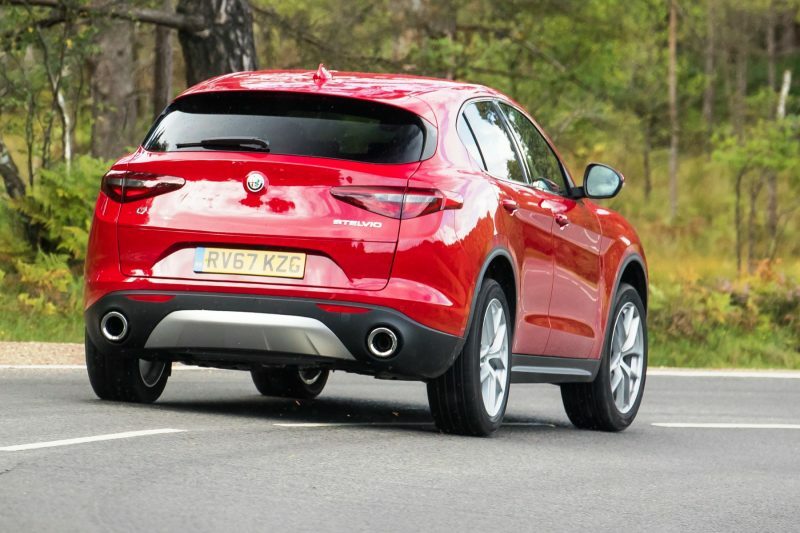 Verdict: Alfa Romeo has nailed it with the Stelvio – a performance SUV that stands out from the crowd. Entertaining to drive, practical and safe, it’s sure to put a smile on your face.